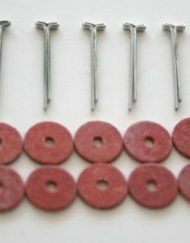 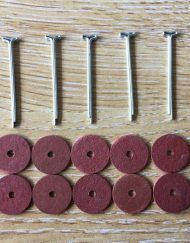 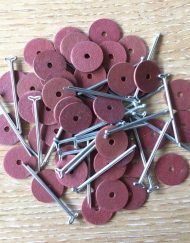 A pack of 5 x 15mm safety joints for teddy bear and soft toy making. 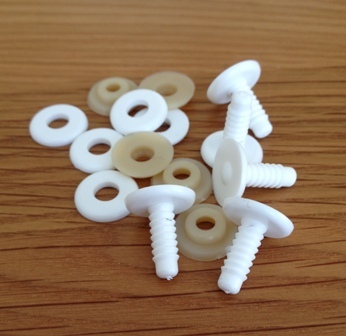 A set of five, 15mm plastic safety joints to enable your creation have moving arms, legs and head. 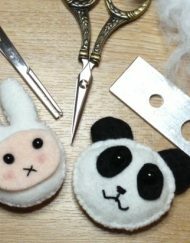 The pack will be enough to joint one bear (or a toy that has two arms, two legs and one head!). 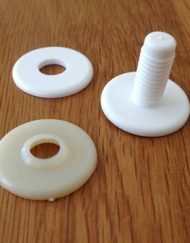 The diameter of the disks is 15mm and the length of the plastic ‘pin’ is 14mm. 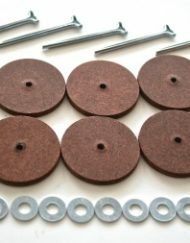 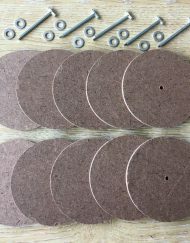 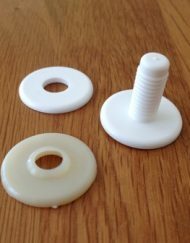 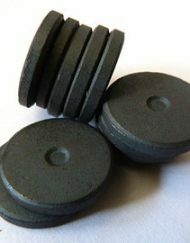 These joints are made up of three pieces: one plastic disk with a ridged pin (which sits on one side of the joint), a plastic washer and a locking disk which goes on to the pin last and holds the joint in place. 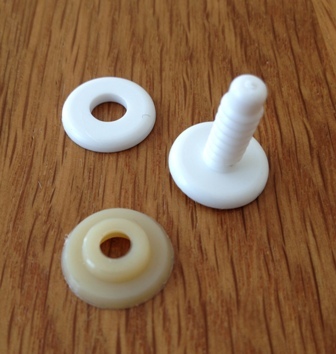 Because the joints need to be firmly secured, it is a tight fit to attach the locking disk and you need a bit of strength to push it on! 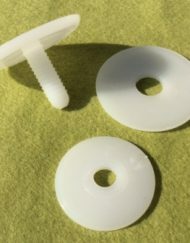 If you are struggling, two things that can help with this are the Safety Eye Insertion Tool or by soaking the joint in hot water for a minute before inserting. 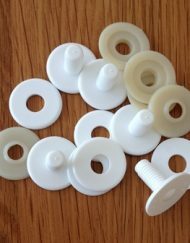 The joints are all washable and conform to British Toy Regulation Safety Standard EN71 Part 3. 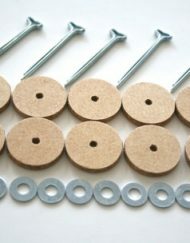 See how to insert safety joints, see our ‘How to do it’ videos.